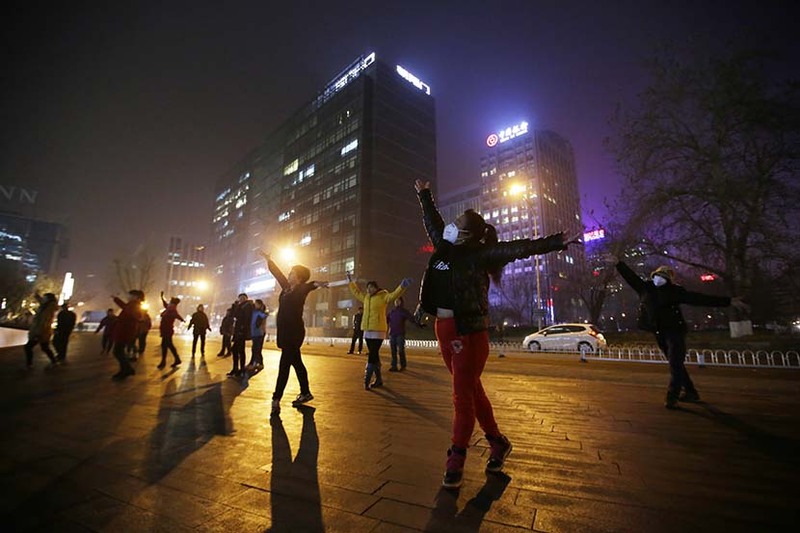 Kugou has become the world’s largest music-streaming site by targeting less-developed areas. But Spotify isn’t the biggest streaming service in the world. In fact, it isn’t even halfway there. That accolade unquestionably goes to China’s Kugou, which has over 450 million active monthly users, according to a public relations representative at the company. Founded in 2004, Kugou — whose name translates to “cool dog” — has succeeded by tapping into the world’s largest market. China’s major cities have long served as the driving forces behind the domestic tech industry, with many startups targeting city-dwellers in the early stages of business. While some services are still firmly aimed at that demographic, Kugou isn’t. China is a country of 1.4 billion people. All I can say is, most of our listeners are not the kind who drink coffee. Coffee is still very much a luxury product in China. Most Starbucks branches are still confined to larger, more prosperous cities. When Xie refers to those who do not drink coffee, he is making a crude distinction between metropolis-dwellers and those who live in China’s smaller cities, where tastes — and not just in hot beverages — are different. “Towns have a smaller proportion of people with bachelor’s degrees or higher,” said Lu Huilin, an associate professor of sociology at Peking University in Beijing. “More young and educated people are leaving for big cities.” This can mean English-language songs are less appealing to small-city audiences. Lu also believes that residents of large cities have more choices when it comes to spare-time activities. “With a better economy, residents in big cities can enjoy more forms of entertainment, such as art shows,” he said. As far back as 2015, Kugou’s competitive advantage in small cities was pronounced. Figures from app usage monitor QuestMobile last January show that among Android users in so-called fifth-tier cities, Kugou was the most popular music-streaming app and the 11th most popular Android phone app. At that time, Kugou’s market share was 10 percent larger than that of its closest competitor, Tencent’s QQ Music. Moreover, Kugou also beat out QQ Music in first-tier cities like Shanghai, Beijing, Shenzhen, and Guangzhou, where it was the most widely used music app and ranked 18th in overall app downloads. 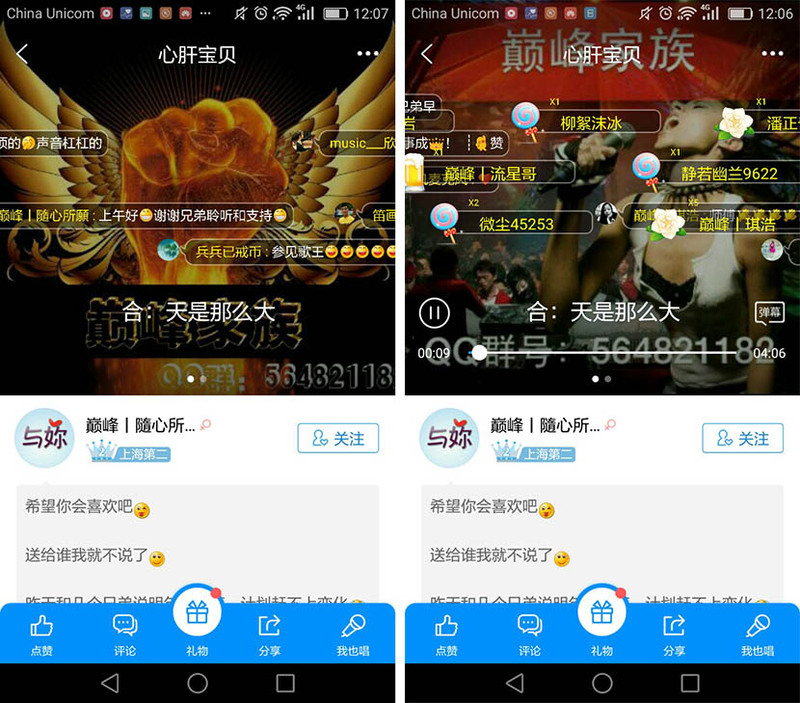 Screenshots from Kugou shows users leaving messages that fly across as a song playing. Kugou boasts a number of features that directly appeal to small-city-dwellers. Among them is the ability to record yourself singing over popular tracks and upload the recording to share with others. It’s a feature that fuses the convenience of mobile technology with the fun of group KTV — short for “karaoke television” — one of the few pastimes ubiquitous in small cities, where entertainment options are limited. Users can spend real money on “song coins” — Kugou’s in-app currency — and use that capital to buy gifts for other users whose singing they enjoy. Recipients can then withdraw the app’s digital currency into their bank accounts. Listeners can also comment under songs and leave messages that fly across the screen as the song plays. The latter phenomenon is known in internet parlance as “bullet screens” and though it is most closely associated with online video streaming, it’s also popular with streamed music. This marriage of music and social networking is characteristic of music-streaming services in China, and as such isn’t unique to Kugou. But while other services may have KTV features with a gift-giving function or allow users to write bullet comments, Kugou has combined all of these popular features together. We have the largest number of users among all platforms, and that includes both coffee-drinkers and non-coffee-drinkers. 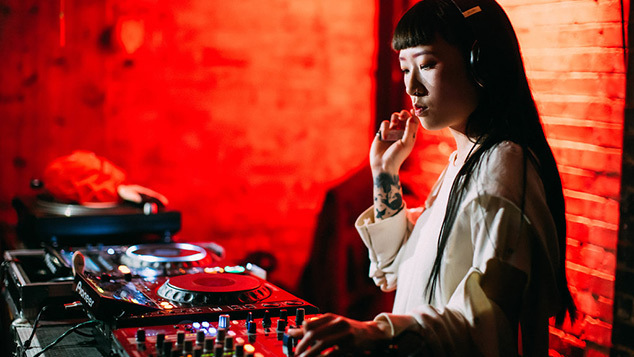 The platform’s broad appeal is one of its biggest strengths: It is the only major app with a category of music for square-dancing, a form of exercise favored by middle-aged women across China. 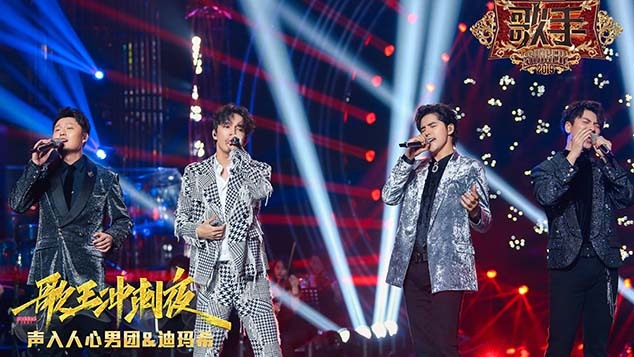 Users of trendier services like Alibaba’s Xiami, which features a wider selection of smaller, more independent artists, might scoff at the very presence of such a category, but it’s all a part of Kugou’s plan, according to PR representative Yang Daxian. Kugou might have wide appeal, but it lacks credibility and a following among independent artists. Jeff Liang, an American-born independent musician based in Beijing, prefers to use NetEase Cloud Music because he can often find obscure artists there, which keeps him coming back. Meanwhile, his own music is on Spotify, which pays musicians for each stream, although the profits are so tiny that Liang barely notices any change in his bank balance. For independent artists operating exclusively on the Chinese mainland, there are few opportunities to earn money from streaming apps. There is no pay-per-stream option, and songs often sell for incredibly low prices. One of the songs Liang created under his artist name “Soulspeak” is free to stream in high-quality format on Xiami and only costs 0.8 yuan ($0.10) to buy. When asked about Kugou, Liang has to think before he remembers the name. “Oh, OK, yeah — I’ve heard of it but never actually used it,” he said. The climate for music-streaming apps in China has changed significantly over the last 18 months. In July 2015, the National Copyright Administration of China (NCAC) announced that all pirated songs must be taken offline, causing a scramble among music-streaming platforms to legalize as much of their content as possible before the July 31 deadline. In 2014, China Music Corporation — a former market leader with a large portfolio of music copyrights — purchased Kugou, after having acquired competitor Kuwo the previous year. The market consolidated further this year, when Kugou and Kuwo merged with Tencent’s QQ Music, China’s second-largest music-streaming service. Although the platforms still operate completely independently of each other, Kugou, Kuwo, and QQ Music together are an industry behemoth: Both Kugou and QQ Music claim to have more than 400 million active monthly users each. I’ve seen migrant workers paying to download music from streaming apps. It didn’t seem to bother them at all. Competition between Kugou, QQ Music, and, to a lesser extent, Kuwo is still fierce. In August, QQ Music announced that it had turned a profit for the first time in its existence. By the time the NCAC made its announcement in 2015, most of China’s major music-streaming platforms had already implemented paid subscription options to cover the terms of the deals they struck with copyright holders, though the end-of-July deadline the NCAC added some urgency to the process. As with Spotify, membership packages for Kugou and QQ Music users mean better audio quality, no ads, and the ability to download. But unlike Spotify, Kugou and QQ Music also offer members prime seating and discounted tickets for concerts, alongside cheaper subscriptions with fewer perks and a free option that includes ads. QQ Music is the first and only music-streaming platform in China to publicly announce its earnings, perhaps due in part to Tencent’s ownership of the hugely popular message-based social networks WeChat and QQ. QQ Music has around 100 million paying users, although membership fees — the lowest of which is 10 yuan per month — are much cheaper than Spotify’s. Kugou, however, has remained tight-lipped about its earnings, with Yang saying she was unable to disclose information about the company’s profitability. Kugou’s need to turn a profit is not as urgent as it could be. In 2012, the company founded Fanxing Livestream, a website and app that let users broadcast themselves live via video on computers or smartphones. In the four years since the platform was founded, live broadcasting has become big business and made stars out of people who were once relative nobodies. On apps like Fanxing Livestream, users are encouraged to purchase virtual gifts for live-streamers whom they like, with the app taking a cut of the money. With over 200 million users and no tricky overhead from copyrights, this simple monetization model has led Fanxing Livestream to provide 70 percent of the income for parent company Kugou, with the remaining 30 percent coming from the music-streaming service, according to a report on Jiemian. 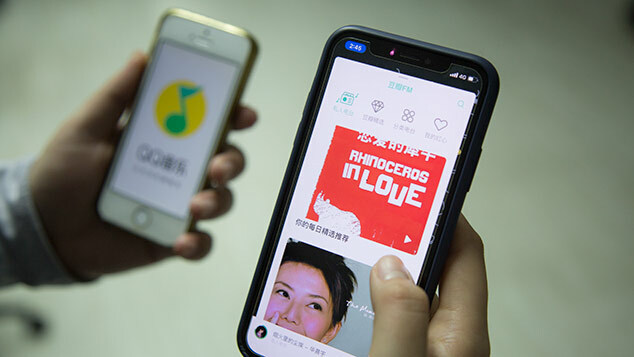 With financial support from Fanxing Livestream and a strong foothold in China’s smaller cities, Kugou music has ample time to learn how to get the most out of its 450 million users.